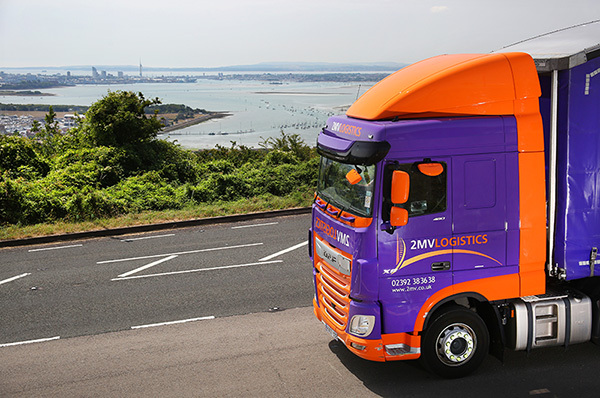 2MV Logistics has an established department which specialises in international freight movements by whichever mode is most appropriate for your needs. We have long standing partnerships with wholesalers, airlines, freight forwarders and shipping companies, and can combine our expertise with road, sea and air freight with their resources where necessary to give you a fully integrated worldwide service, door to door, with a single point of contact. We have operatives in Asia, the Far East and the USA who can arrange onward delivery to anywhere on the globe. And through TPN - THE Pallet Network, we have access to extensive partnerships for the delivery of palletised freight into Ireland, continental Europe, and Scandinavia. We can arrange customs clearance in the UK or abroad for your imports or exports. 2MV also offers a worldwide courier service. By working together with carefully selected preferred carriers 2MV offers standardized connections and fixed schedules on all main routes. We offer competitive rates for all time and cost variants. We can offer priority, standard and economy/consolidated services and will liaise with you to ensure that we provide the best 'time versus cost' option for any shipment, large or small, to meet your requirements. We can arrange for door to door delivery of your freight, or for it to be deposited at an airport of your choice for collection by your local agents. Our long-term partnerships with major shipping lines ensure we meet the important balance between quality of service and value for money. 2MV can transport full container load (FCL) or smaller loads, known in shipping jargon as 'less than container loads' (LCL). We can take your freight from door to door, terminal to terminal or port to port, in line with your requirements. For Far East shipments, we have agents at ports in Hong Kong, China, Malaysia and Singapore. We can ship to anywhere in the USA or South America. Our well established relationships with contract carriers means that virtually every schedule and delivery requirement can be fulfilled to your satisfaction. Our staff will oversee your shipments from your suppliers premises right through to delivery your door. We will keep you informed through every part of the shipment process, giving you peace of mind that your shipments are being closely monitored at all times.